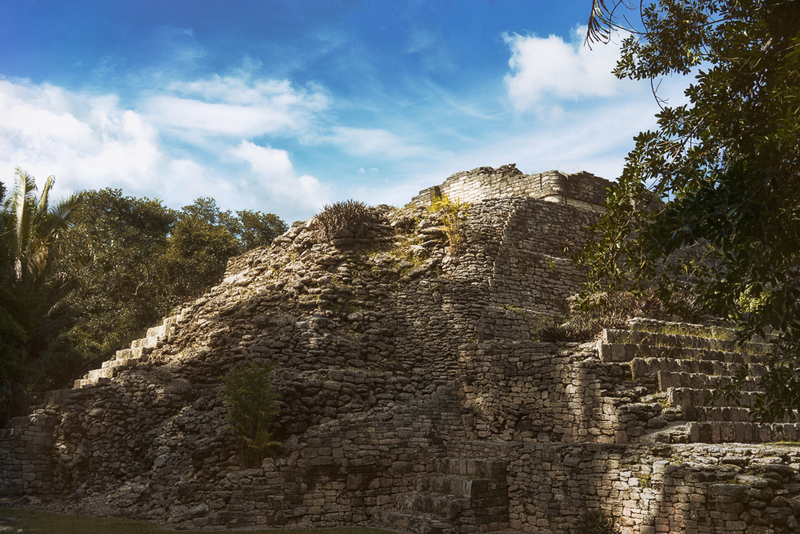 I began the day teaching about the functions of religious cosmogonies, so I think it was entirely appropriate to end it by editing a photo of this Mayan pyramid from Kohunlich, near Costa Maya, Mexico. This entry was posted in Landscape Photography, Nature, Travel and tagged Kohunlich, Mayan, Mexico, Pyramid, Temple. Bookmark the permalink.